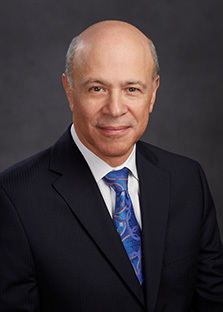 Steven Goldberg | Profiles | Rosen Goldberg Inc.
Steven Goldberg has more than thirty years’ experience in insolvency and restructuring assisting lenders, management and other creditors in assessing their strategic options and implementing plans. Steven’s practice has focused on the mid-market where he has gained experience in a wide range of industries including manufacturing and processing, real estate, construction and service providers. Steven is often called on to deal with complex personal insolvency matters for high income earners requiring significant restructuring. Throughout his career Steven has made presentations to bankers and lawyers on insolvency related topics. Steven currently sits on the Board of Governors and is the Treasurer of a non-profit organization.